The 2016 Global Citizen Festival is shaping up to be the most star-studded yet. 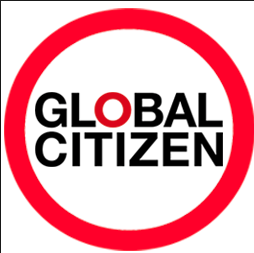 Global Citizen – the nonprofit that aims to eradicate poverty by 2030 – announced the A-list talent that is set to take the stage in Central Park on Sept. 24. Rihanna, Kendrick Lamar, Selena Gomez, Metallica and the Diplo-founded EDM act Major Lazer will headline the annual New York City concert. In addition, Usher, Coldplay’s Chris Martin, Pearl Jam’s Eddie Vedder, Ellie Goulding, Puerto Rican reggaeton singer Yandel and Yusuf/Cat Stevens will join as guest performers. And Chelsea Handler, Hugh Jackman and wife Deborra-lee Furness, Neil Patrick Harris, Priyanka Chopra, Salma Hayek Pinault and Seth Meyers will host the charity show. The 2016 event marks the fifth year celebrities banded together to raise awareness in an effort to move world leaders to enact policy changes regarding women’s equality, education, health, water and sanitation, environment, finance and innovation and food and hunger. Last year, everyone from Beyoncé and First Lady Michelle Obama to Joe Biden and Katie Holmes teamed up at the annual concert. Each year, tickets to the festival are given away free to fans for their philanthropic efforts. Tickets can be won via lottery by earning points for taking action in one’s community, reaching out to world leaders, signing petitions or speaking up on social media. For more information, check out globalcitizen.org.